Are you ready to see what I’m convinced is the sweetest couple ever? Eee! Stephanie and Cody wanted to do their session on campus at Texas A&M, and goodness, the day we did their session did not disappoint! From the beautiful sunshine shining in through the dramatic limbs of the Century Tree, to the wildflowers planted with the perfect view to the Academic Building, to the fun fountain photos in front of Kyle Field.. this was one of my favorite sessions on campus in a long, long time! 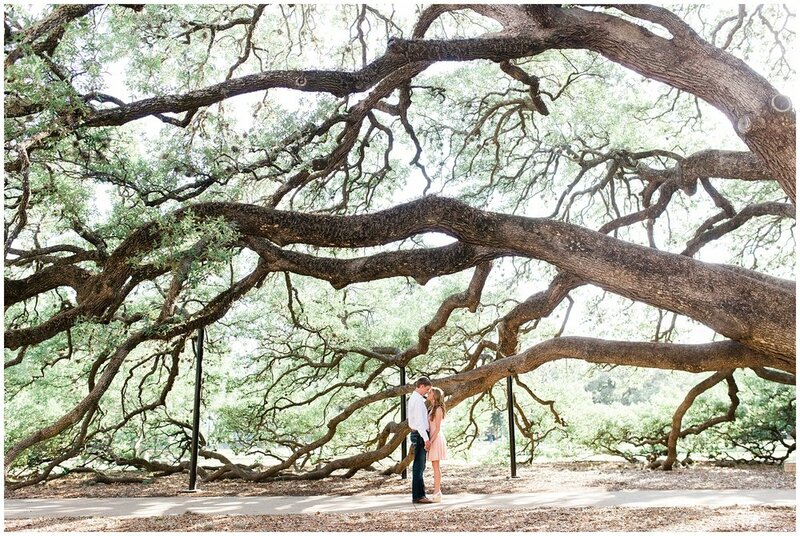 We are so excited to head to Wind Dancer Retreat next month for their wedding day! Fingers crossed for a day as gorgeous as this one when they commit their lives to one another. Enjoy some of my favorites (of which there are quite a few! ).